Penned by the Ferrari style centre in collaboration with Pininfarina, the new California T is a sophisticated prancing horse grand tourer with a beautifully ergonomic and sumptuously handcrafted. 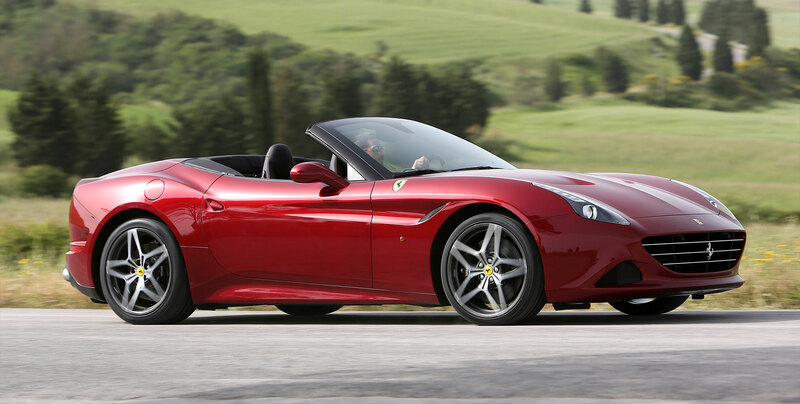 The California T, while a masterful modernization of the 2008 California also retains every essence of the legendary Ferrari DNA. The shapes of its flanks are inspired by the 250 Testa Rossa’s famous pontoon-fender stylings with the front wing line stretching back towards the compact rear. This lends an aerodynamic sleekness and a visual fluidity to its external elements. A generous front grill grants the automobile an aura of power while the new streamlined enhances the overall aesthetic. The two vents serve to dissipate heat from the turbo engine. The rear features new horizontal styling elements and was subject to intensive aerodynamic testing resulting in a new triple-fence diffuser. The California T’s interior is an immaculate fusion of innovation, function and ergonomic comfort. 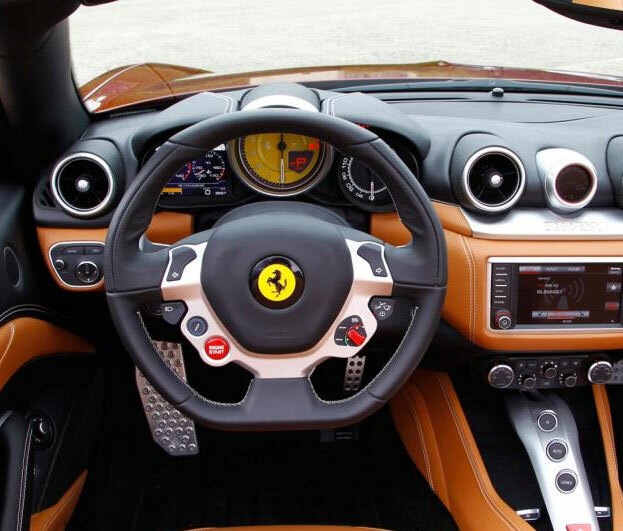 Ferrari influenced styling is present in the multi-functional steering wheel, the round air vents, the clear division between the dash and tunnel and the signature F1 bridge. Encapsulated in an elegantly crafted, ergonomically redesigned cabin, the sophisticated materials and craftsman-like attention to detail elevates the driving experience. The Turbo Performance Engineer (TPE), a sophisticated instrument with a digital display and touch sensitive scroll is discreetly located centrally between dual air vents. It presents valuable output based on the turbocharged V8’s performance allowing for responsiveness and efficiency. An all-new intuitive infotainment system designed for easy navigation also provides instant access to other functions.